I once heard someone tell me that they preferred to write, not to read. Needless to say, the statement baffled me. Now, I love to write. LOVE IT. But writing without reading? What the hay? As a matter of fact, reading (to me) is simply a guilty pleasure. But to an aspiring author, it's also an important tool. 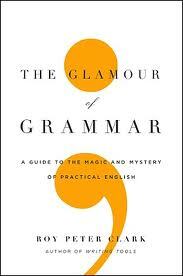 The Glamour of Grammar by Roy Peter Clark - touts itself as "A Guide to the Magic and Mystery of Practical English." Don't let the subtitle fool you. Mr. Clark is as clever as the the fellas on late-night TV. And he doesn't even have the benefit of celebrities like Snooky for material - he's merely using his wit and the ole subject matter of grammar. Anyway, beyond the coy, there's invaluable advice for writers. Writing Tools by Roy Peter Clark - notice a theme yet? Well, after reading his second book, I went back to the bookstore to pick up his first book. 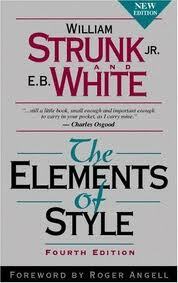 While this book is also clever, it's more scholarly (really), giving the writer fifty specific writing tools. So break it down - do the math, you're bound to get your money's worth. Honestly, as I read it, I made a pact to myself to re-read this "manual" every year. Becoming a Writer by Dorothea Brande - I have no idea when I picked this book up, or if my mother gave it to me, or if I picked it up at a conference, but I am THRILLED that I have it! Why, you ask? Because Roy Peter Clark references this book in Writing Tools - I made a side note to check it out at the library. Needless to say...I already owned it. Serendipity at its best. Will read soon. 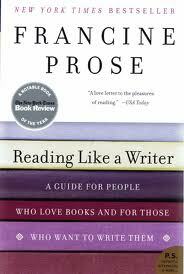 Reading Like a Writer by Francine Prose - This book was a Christmas gift from my mother a few years ago. 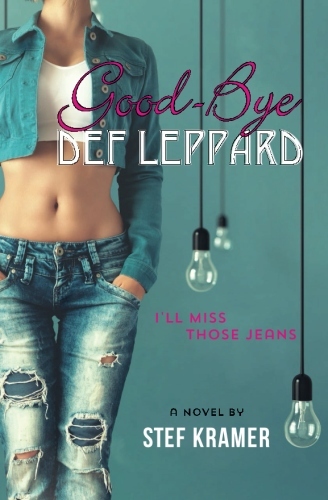 "The trick to writing is reading - carefully, deliberately, and slowly." This particular book was transformative for me. I have never read a book in the same way - and while I'm an English major from the University of Iowa (and am only slightly pretentious when it comes to literature), Ms. Prose helped me to distinguish a ho-hum sentence from a fly-to-the-moon sentence. I'm sure there are many more books to explore. There always are. But that's my short and inexperienced list. As I find more, I'll be sure to spread the news. Anyway, since this is the web, if you have any to share, please feel free to comment! I'm not saying F. Scott wasn't a great writer; he was. I just didn't like reading his novels because he knew so little about women, but thought he did. Steinbeck wrote beautifully about women, even when they were nasty. What do others think?